We all know how important it is to get ample nutrition into our daily diets and get a moderate level of physical activity to keep our body’s strong and healthy, but how about our brains? Our brains, of course, are the busiest and most important part of our entire genetic makeup, which leads many people seeking out the benefits of nootropics to enhance their brain function, but do just what do they do? Nootropics is a wide umbrella term that is used for natural classes of chemicals, although some may also be man-made substances, that are known to enhance the natural cognitive abilities of the human brain. In order to be considered true nootropics, the substance in question must meet a set of five criteria as set out by Dr. Corneliu E, Giurgea, the man who originally concocted the term. Assist the brain when it is overwhelmed by conditions such as electroconvulsive shock, hypoxia or hypothermia. With that being said, many people utilize the term nootropic when referring other cognitive enhancers that may or may not meet the five criteria but still enhances the brain’s ability to function, whether it’s improved memory or better concentration or other benefits. Below we’ll dive into the top 5 Nootropics and their benefits to your brain’s health. You’ve long heard about the benefits of fish oil so it should come as no surprise that these fatty acids made the shortlist for the top nootropics. Fish oil is the generic term for Omega-3 fatty acids like DHA and EPA who have been shown to dramatically improve brain health and even prevent some of the effects that come with natural human aging, such as reduced memory function or even memory loss entirely. DHA is a vital fatty acid as it assists with the maintenance of the structure and core functionality of your brain, while EPA is crucial for protecting your brain against damage and aging. Studies show that DHA supplements can significantly improve a person’s ability to think and react to new information and it has been seen to greatly benefit people experiencing a decline in brain function. In addition to its benefits regarding memory and response, fish oil or omega-3 fatty acids has also been proven to significantly improve a person’s mood, making it highly influential in those who suffer from depression. You may be unfamiliar with its namesake, but resveratrol is found in many common foods that you’re likely to come across every day, from grapes and raspberries to red wine, peanuts, and even chocolate. Resveratrol is found in the skin of purple and red fruits which is why you find a lot of it in berries, and it’s a natural antioxidant. Studies on resveratrol show that it aids in the prevention of memory loss due to the way it encourages growth and maintenance of the hippocampus, the area of your brain that is associated with memory. It is said that regular ingestion of resveratrol will not only improve brain and memory function but also slow down the natural rate of decline of your brain as you age, making it a strong ally to have against diseases like dementia or Alzheimers. It’s a bit of a mouthful but this handy amino acid called Acetyl-L-Carnitine is highly beneficial to your energy production and as such has been shown to make people feel alert while slowing improved memory function. 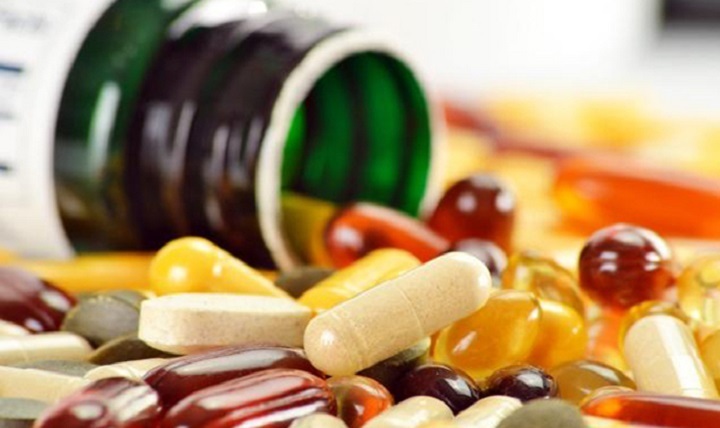 It is created naturally by your body but studies have shown that a supplement can be highly beneficial to those concerned or with a family history of age-related brain decline. In some animal-related studies, acetyl-L-carnitine was shown to also increase their ability to learn to show that is is a great tool to utilize for improving short-term memory retention. Some of the foods you can find this brain-boosting acid include red meats, seafood, pork and chicken and also many different types of dairy, like milk and cheese. Your brain carries a fat compound called phospholipid which is known to be useful for preserving the strength of your brain, and these fat compounds are more specifically called Phosphatidylserine. Clinical studies have been performed to show that taking phosphatidylserine supplements three times a day, at 100mg each time, greatly reduces the likelihood of brain deterioration. Interestingly, these benefits were seen both in those who are known to be completely healthy, as well as those who were already at a risk of age-related brain diseases. In the healthy group tested, who were asked to take phosphatidylserine supplements in conjunction with their normal diet upwards of 400 mg per day, participants were shown to have improved their brains cognitive function and their ability to think and reason increased. While more studies are needed to completely verify the benefits of phosphatidylserine, the research thus far shows it is a great asset in particular with regards to brain function, so it is recommended that you get adequate levels of the compound daily. Arguably the most common stimulant used to assist with focus and concentration, caffeine is the most widely used nootropic to enhance brain function. In addition to being found in your morning coffee or green tea, it’s also heavily found in dark chocolate making the case for overindulging on the sweet stuff. Given how widely available it is, taking a supplement generally isn’t necessary although it is a viable option for those who don’t enjoy drinking coffee or tea. What caffeine does is stimulate your brain as well as your central nervous system, perking you up when you’re overtired and creating a sense of alertness when there may not have been one present. This, of course, is highly beneficial when you need your brain to be performing optimally. If you’re a regular coffee drinker, you may already be aware of its effects. Studies on caffeine have proven that ingested it does make you feel significantly more energized and improved many brain functions, from improved reaction times to memory, and just general daily brain-tasks. Generally speaking, the average person only needs between 200-400mg of caffeine in any particular sitting in order to see its effects and ingesting higher amounts over prolonged periods can actually be counterproductive if not monitored. Too much caffeine can not only cause nausea, but anxiety and insomnia, as well, which certainly isn’t beneficial to your brain, so be mindful of how much caffeine is in your morning cup before you reach for seconds. As you can see, there are many options for nootropics that can significantly improve not only your brain function but your mood and energy levels, too. Whether taking naturally or via a supplement, these brain-boosting nootropics show incredible promise in combating age-related brain decline diseases as well as assisting with micronutrient deficiencies that lead to poor brain health. Those who are more prone to this disease are shown to see the greatest benefits, but given that brain decline can affect any and all of us, it’s imperative that we are nourishing our brains with the right foods and nutrients in order to better our chances of increasing the longevity of our brain’s life while enabling it to perform to its greatest potential. For most of the people who are going through life, the most challenging aspect are the failures and things in our past that we did not capitalize on. Some people may feel regrets because they never achieved their goals within school. Some people feel as though they should have been able to do more with their jobs and there are plenty of complaints with relationships. The reality is, when we look back at our failures, what are the reasons for these things coming to pass? Most of the time, it is because we have become too complacent and our mind isn’t working in the way that we might want it to. For many people this poor cognition is the hindering block that is preventing them from success. The ghosts that haunt us are usually our failures so how do we ensure we do our best to prevent them? Failures aren’t bad per se, but they must be from a lack of knowledge, wisdom, or market fit rather than a lack of capabilities or laziness. Nootropics are often the answer. Something effective to boost cognition is important, which is why many people turn to the safe substances that improve cognition. A single alpha GPC dosage can make a huge difference for someone who is trying to enhance their cognitive abilities. The perception of most people is that alpha GPC is just a compound that isn’t of much use, but in reality it is so powerful it can do great things. It is important to keep this in mind so as to get the most from the various drugs. Another more risky nootropic that people use is called aniracetam. The aniracetam dosage recommendations make a big difference when you are trying to consume the drug so keep that in mind as best as possible. Often times these two nootropics aren’t even useful for you. Perhaps you have a great memory already or you are planning to do something else with your nootropic stack. Whatever the case, there are effective tools for you to get the most from your brain. The top nootropics might not be the same for you as they are for somebody else. Another aspect of improving brain health comes from unique stacks. These are pre-made stacks, such as the Qualia supplement, which can have a tremendous impact on your cognitive performance. The vast majority of people who have ghosts haunting them need to pick this up so it can fundamentally change how you contribute to society from here on forward.